There are many things to consider in creating a real estate website that helps you drive your business to success. Is your website the effective lead-generating platform you want it to be? Find out by asking yourself these questions. What are my goals for this website? Launching a site isn’t just about getting your name out there and promoting yourself as an agent. Ultimately, you want to drive traffic to the site, convert that traffic into leads, and persuade leads to buy or sell property through you. Do I want a custom site or will I use a template? When choosing between a template that allows for easy set-up and maintenance or a customized option that gives you the freedom and flexibility to wholly modify HTML and CSS, you need to determine how good your web development skills are, and how much time you can realistically spend updating the site. You also need to consider your clientele and how they would interact with your site. 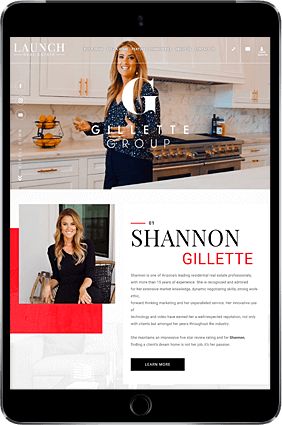 A template site may be good for showcasing a small listing inventory to a small audience, but as your portfolio, team and services grow, sometimes a more custom solution can be a smart long term investment. If you lack the time or technical skills to build a site, but still prefer a customizable option, you can always get a professional to do it for you. 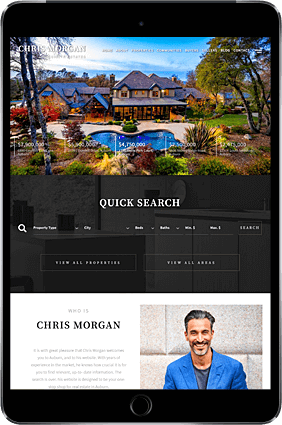 Agent Image creates both custom and template sites based on your needs. 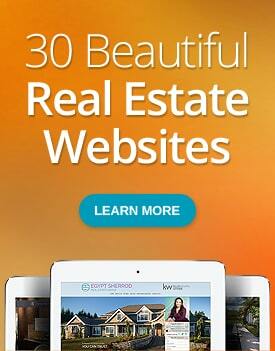 The company has been producing award-winning real estate websites for over 20 years. Do I have all the information I need on my site? Make sure to include the following information before your site goes live so that visitors will find what they need to know when deciding to hire you. 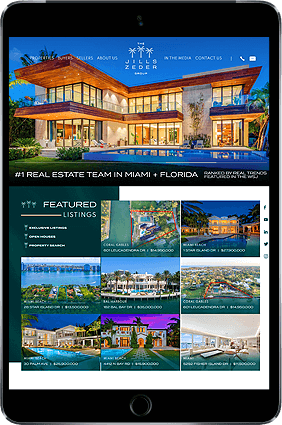 IDX – Your IDX must be well integrated to ensure that visitors are seeing listings that meet their criteria. For WordPress users, IDX listings can be integrated using plug-ins. There are tools and services that allow agents and brokers to customize listing displays and enhance the user experience while searching for homes. Blog – Your blog should be updated with unique and compelling content on a regular basis. Find out what your target market wants to know. Popular topics include market trends, home prices, and lending practices. You can also blog about buying and selling tips, or about the lifestyle and community you specialize in. Alternately, you can serve as a true resource to your readers by finding out what their pain points are, and produce content that responds to those pain points. Contact Page – Potential leads will want to get in touch with your business, so make sure your contact page includes your phone number, email address, office address, and links to social media pages. Having a built in contact form is also advisable to keep your online leads centralized. Agent Bio – Write a concise biography that states your skills, experience, qualifications, service areas, and other information clients want to see. This will help you capture the interest of potential leads and help them warm up to you as a professional. Am I delivering quality content? Blogging is essential to creating and promoting any real estate website. Posting regularly, even just a few times a week, can help increase traffic. As you create more quality content, visitors will begin to acknowledge your expertise and remember your brand when they finally decide to buy or sell. But keep in mind that the blog is only one component of the site. It’s important to have quality copy across your site, including the homepage, listing descriptions, landing pages, and agent bios. Moreover, you must include other types of content if you really want to make an impact on visitors, and to get them to subscribe to your site. Free content and special offers like videos, infographics, and ebooks are types of content that you can produce in the weeks and months leading up to the site launch. Creating a variety of content before the site goes live allows you to hit the ground running, so to speak – when visitors view the site within the first days of its unveiling, you won’t need to worry about having too much blank space. You don’t even have to be a writer or graphic designer to start with. Developing quality content can be done each week as long as you have enough time to build your skills and do research. Better yet, hire someone who can create content on your behalf. Agent Image Marketing offers blogging packages and content development packages to agents in need of content. Regardless of the type of content you include on the site, remember that search engine optimization (SEO) must play a central role – without it, your site won’t be visible. What am I doing about SEO? Your site won’t show up anywhere near the top of search pages if you’re not strategically optimizing content. Learn the basics, invest in the tools you need, and gain a better understanding of algorithms and what the search engines favor. Find out which keywords work best for your services, locale, and target market, and use them across your web pages to attract visitors. You can find pertinent data using Google AdWords and Trends. Aside from doing keyword research, familiarize yourself with inbound marketing and SEO to inch your way up the search results, and into the RSS feeds and bookmarks of your leads. Check out Agent Image’s SEO packages. Am I effectively promoting my site? Social media visibility and activity plays a big role in site promotion. Find out how platforms like Facebook and Instagram can help drive organic traffic to your site. Social Media – The latest advancements in social media allow you to engage with buyers and sellers like never before. You can promote content, updates, events, milestones, promos, and services on social media platforms. If social media users respond to your posts, thank them for engaging in an online conversation before answering their questions or expounding on their comments. Keep in mind that social media users expect timely responses to their questions, so be quick to address any concerns or inquiries. Email – In addition to posting on social media channels, other tactics like email campaigns can also be beneficial. Send automated emails and newsletters to visitors who subscribe to the site, who will receive these communications at various points of the sales and marketing lifecycle. Email campaigns provide leads with new information related to the latest listings and new content on your website. Ads – These include PPC ads, social media ads, and so on. Effective keyword research combined with hefty investments in online advertisements make for a superior tactic for lead generation. It’s also worth investing in quality copy and graphics to entice internet users to click on ads and drop links to your pages. 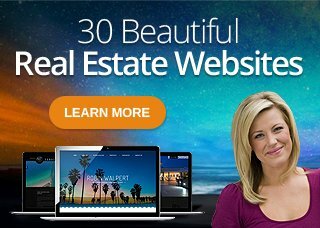 Guest Blog Posts – Doing guest blog posts for top real estate websites will help you reach a wider audience and help you build your reputation as an authority in the industry. Am I measuring my site’s traffic and conversions? If the site has been up and running for a while, you’ll be able to analyze how much traffic you’re getting, and where the traffic is coming from. Knowing where your site visitors come from will provide remarkable insight into how you can modify and further develop your marketing scheme. Organic Traffic – These are site visitors who find you through online searches. Referral Traffic – Visitors who are sent to your site from other sites and social media pages. In order to track traffic and conversions, you have to choose an analytics provider. Google Analytics is of the most popular providers, allowing you to keep track of key metrics like conversions and click-through rates. An analytics provider will help you determine if you’re meeting your goals and if you need to make adjustments to the site, the keywords you’re targeting, or your promotional scheme overall. Am I converting enough leads? In order to convert leads, you have to find out if site visitors have the means to convert. To do this, you must create landing and squeeze pages that discuss the services you provide, as well as include a form that leads can fill out with their contact information. A strong call-to-action will get them to share their information. Once you have the information, you can contact them one by one and start tracking and monitoring their movements using customer relationship management software (CRM). The right CRM will enable you to check in with leads – even if they don’t sign up for your services right away, at least you’d have started and maintained a relationship with them. Launching a competitive site in a saturated industry is challenging, but not impossible. Get the right kind of support so you can implement an effective strategy for your website. 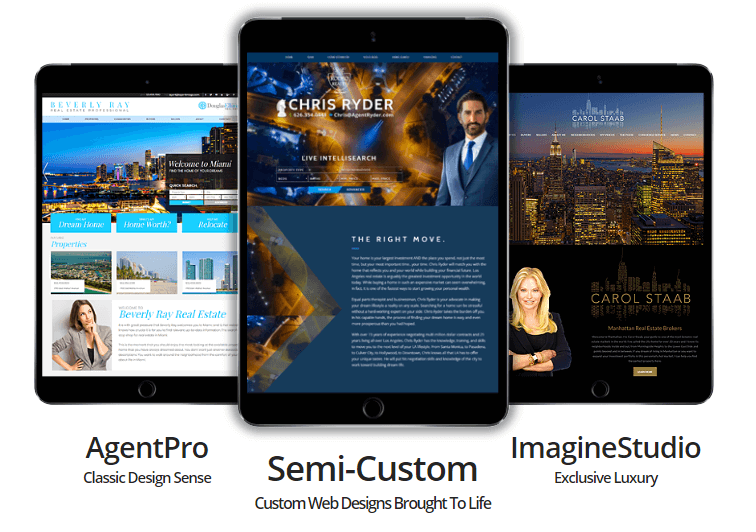 Build your brand with Agent Image – we offer a host of website design and marketing services to help make your site a success.